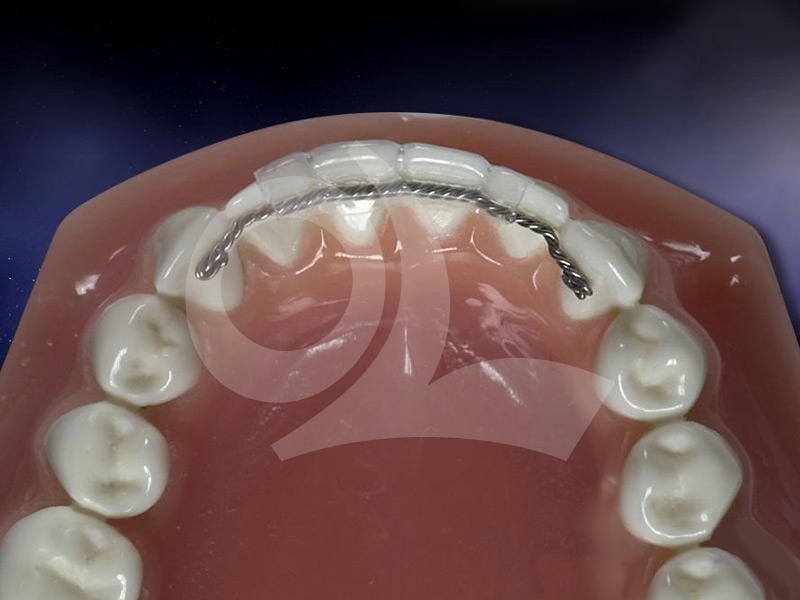 We have reconstructed the Twistflex retainer with spoon such that it is now even easier for you to fit a patient with the Twistflex. The technician bends the Twistflex retainer tightly against the elements. Subsequently a deep drawing steel is pulled over the front. This plate does not reach further than the distal side 2.1 and the distal side 1.2. Because the 1.3 and the 2.3 are kept totally free, it is easy for you to apply the composite to these points and to finish it if necessary. At the same time you can be sure that the twistflex wire stays tightly against the 1.2, 1.1, 2.1 and 2.2. When the Twistflex is fixed on to the 1.3 and the 2.3 you can remove the spoon, after which is it still possible to fix the 1.2, 1.1, 2.1 and 2.2 on the Twistflex. Finishing of the composite is a simple matter here too. It is also possible to order an Optisil spoon. If you have any questions about Ortholab Zuid or one of its products, you can call us at +31 (0)40-2413969 and ask for Frans Klaasen or you can send an e-mail to ortholabzuid@planet.nl and we will answer your question as soon as possible.